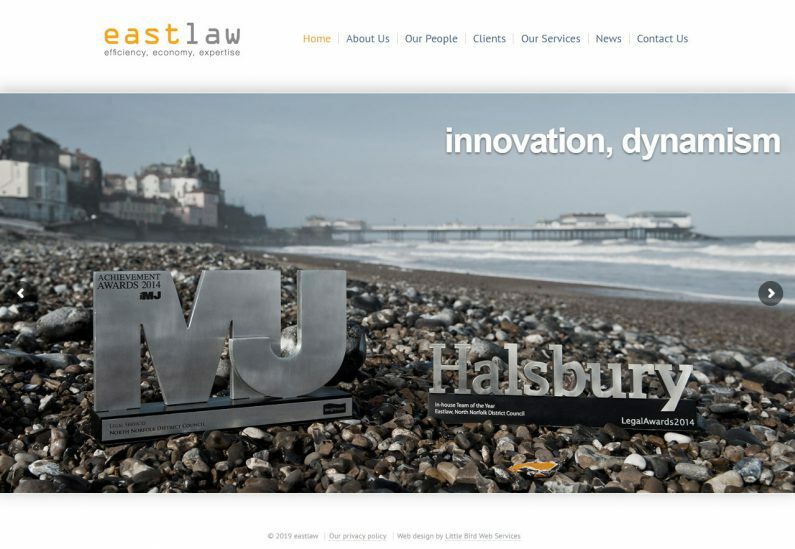 eastlaw is a legal practice hosted within North Norfolk District Council, created to provide services to the Council but also externally to other public sector partners. 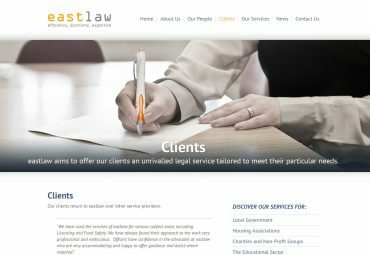 They needed a website that publicised their legal work with housing associations and non-profit groups, and acted as a point of contact for the practice. 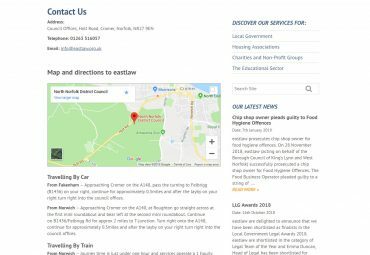 eastlaw wanted a website with a modern look and feel that reflected their branding – and allowed then to publish news stories, manage a staff members’ sections and edit content from within the site. 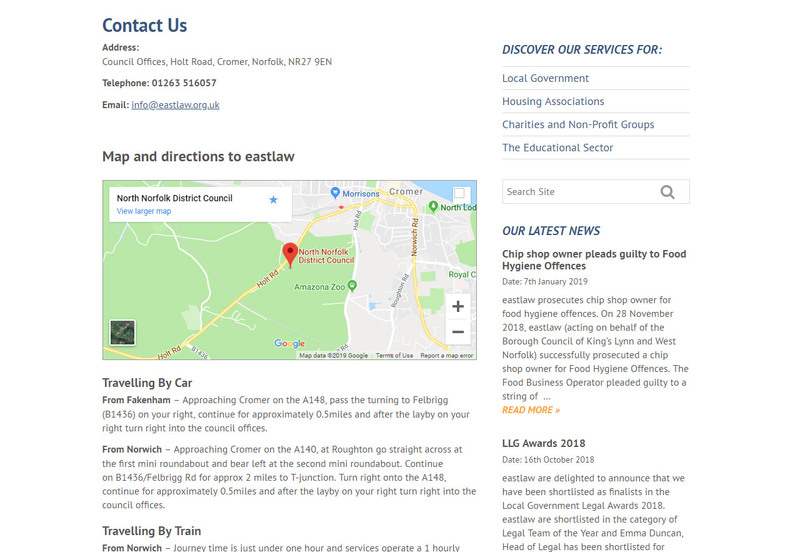 We built a bespoke WordPress theme and plugin for the site, utilising WordPress’ custom post types and taxonomies to sort and manage the different types of content. Each page has a custom header image and strapline to reinforce the eastlaw brand message. A Twitter feed was integrated to the site so that their latest Tweet could be displayed on every page.